Since 2002, the National Institute for Early Education Research has provided independent, research-based analysis and technical assistance to inform policy supporting high-quality early education for all young children. 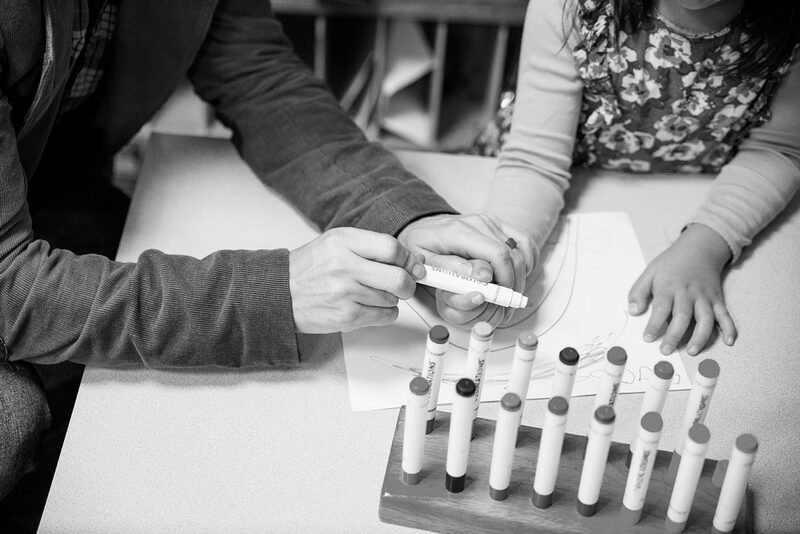 NIEER is committed to providing nonpartisan research that enhances the early childhood education field and encourages policies and practices promoting the physical, cognitive and social-emotional development children need to thrive in school and beyond. NIEER’s State of Preschool yearbook is the only national report on state-funded preschool programs with detailed information on enrollment, funding, teacher qualifications, and other policies related to quality. NIEER quality standards benchmarks have been adopted as regulations by several state early education programs. NIEER recently introduced The State(s) of Head Start, the first report to describe and analyze in detail Head Start enrollment, funding, quality, and duration, state-by-state. NIEER researchers also support young learners through the design and development of high-quality curriculum, assessments, professional development and other supports for practice. NIEER was founded as a national policy research center with support from the Pew Charitable Trusts with leadership from Senior Co-Director W. Steven Barnett, Ph.D., an economist and Board of Governors Professor at Rutgers University. As NIEER evolved we have developed a diverse team that carries out the Institute’s research using their combined backgrounds in education, human development, developmental psychology, public policy, economics, sociology, and statistics. The NIEER team includes Senior Co-Director Ellen Frede, Ph.D., Co-Director for Research Milagros Nores, Ph.D. eight additional research faculty, senior project administrators and staff, project coordinators and additional research and policy project support staff, a communications team, and a fiscal and administrative support group led by the Associate Director, Valerie Werstler. In addition, NIEER has external Fellows who collaborate with NIEER from time to time. NIEER has been awarded $75 million in external funding from its inception to August 2017. In what follows we provide brief descriptions of selected projects that characterize the major work of NIEER. In addition to these activities, we always have smaller projects in process or development and NIEER faculty and staff contribute to scholarship and service more broadly; for example, by serving on editorial and advisory boards, and reviewing for journals and funding competitions nationally and internationally. CEELO’s Legacy 2030 project will capture the voices and experiences of state early education specialists and others who have influenced early education policy. We want to see where we’ve been, figure out what works and then set a course for where we should be headed. A National Advisory Group guides our efforts to raise up the voices of state specialists and share their policy expertise. Focus groups and a groundbreaking national survey are identifying pressing policy issues and exploring solutions from diverse viewpoints. And the upcoming Pioneers in Early Childhood Education video series will capture the wisdom of leaders who have helped shaped the early childhood education field. Videos will be appropriate for a wide audience, providing another helpful resource for policy advocacy, professional development and public relations outreach. NIEER fiscal research and analysis supports PNC leadership in Grow Up Great policy activities. In the 2016 Essential Elements report, supported by the Bill and Melinda Gates Foundation, NIEER examined the extent to which all states, the District of Columbia, and three large cities support high-quality publicly funded preschool education. The framework for the assessment of state capacity is provided by “15 essential elements” of high-quality pre-K. The main goal of Ready, Set, Go! 2 is to improve district and pre-k provider readiness to apply to expand and effectively implement high-quality pre-k in NJ. NIEER will work in partnership with state and county level staff and entities to build consortia of support across districts and all pre-k providers. Advocates for Children of NJ (ACNJ) also received a grant and will be a partner in this work, particularly in mobilizing the child care and Head Start community. Additionally, we will work with other key stakeholders to design a birth to kindergarten comprehensive site director leadership seminar and to reinvigorate the early childhood higher education faculty to be more engaged in statewide efforts. Underpinning all the work are two related aims: 1) to develop methods that are scalable and sustainable and 2) to increase capacity and knowledge at all levels of leadership from local to state and across auspice including private pre-k providers, school districts, Head Start, faculty, county and state. The Classroom Assessment for Supports of Emergent Bilingual Acquisition (CASEBA) and Self-Evaluation of Supports for Emergent Bilingual Acquisition (SESEBA) are conceptually linked tools to assess adequacy of instruction for dual language learners. The CASEBA is reserved for use in research studies and the SESEBA is used as a focal point for a comprehensive professional development model.